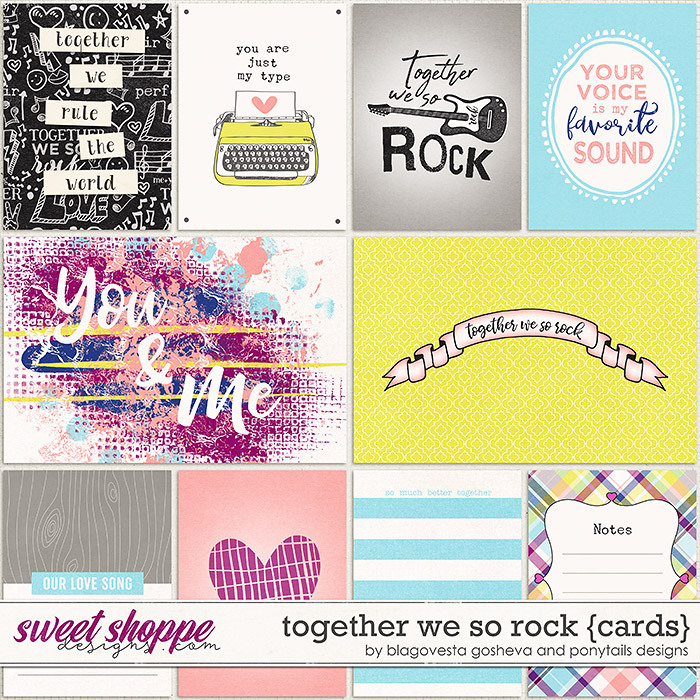 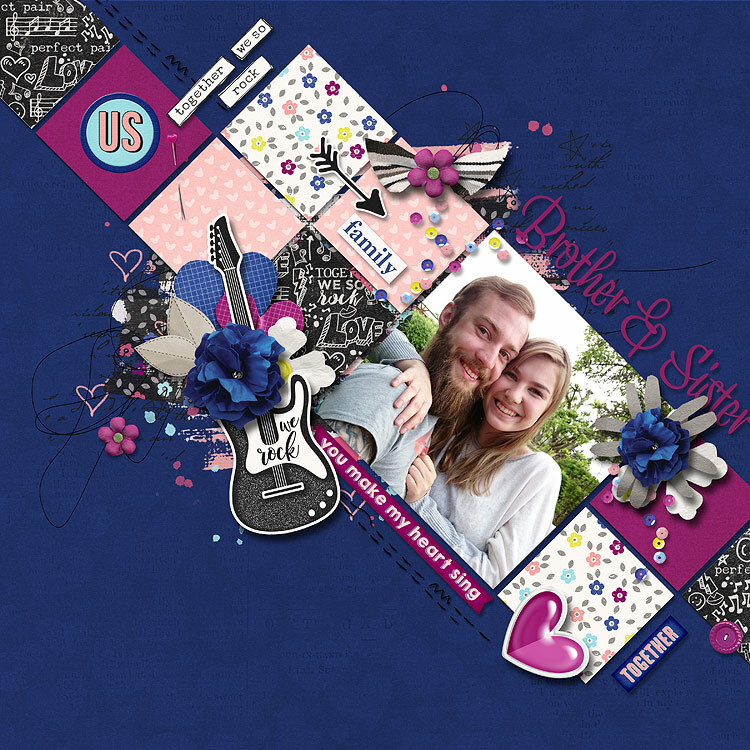 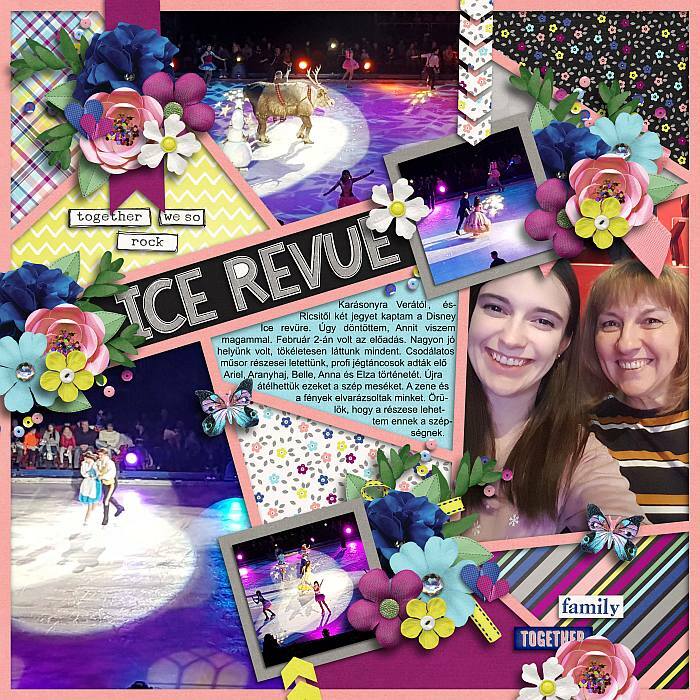 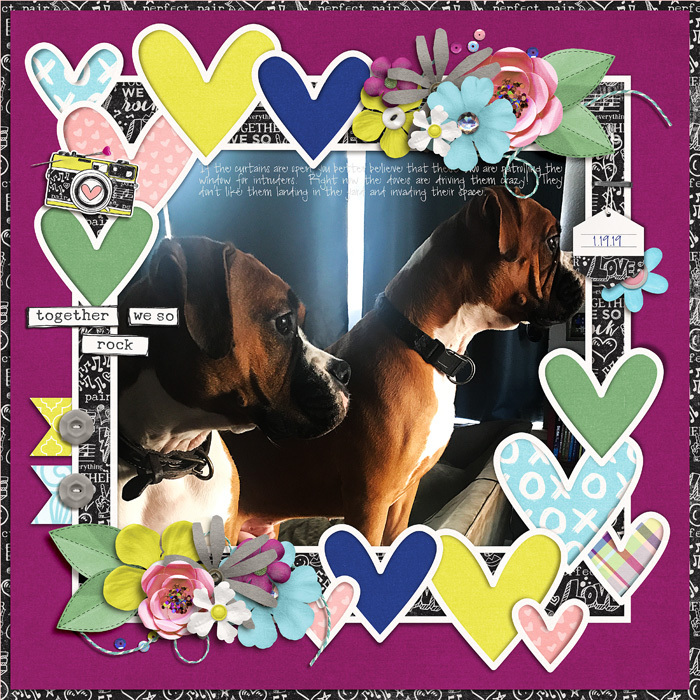 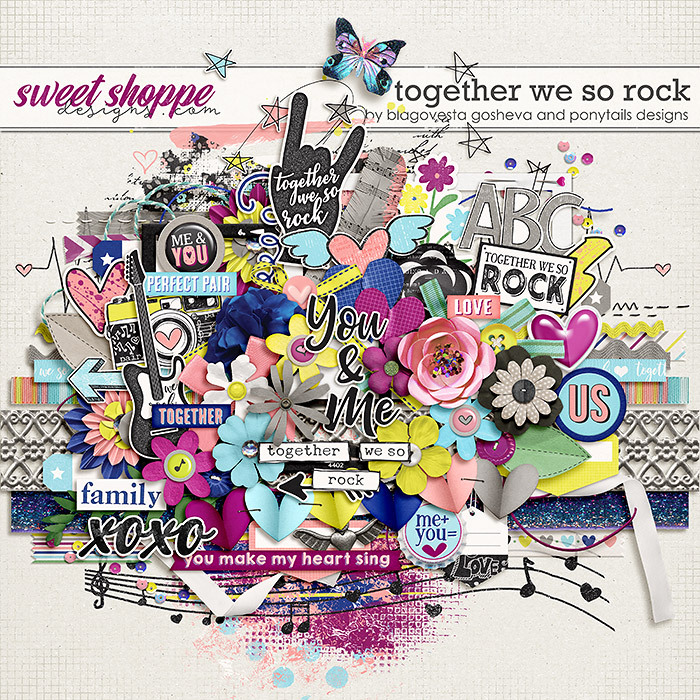 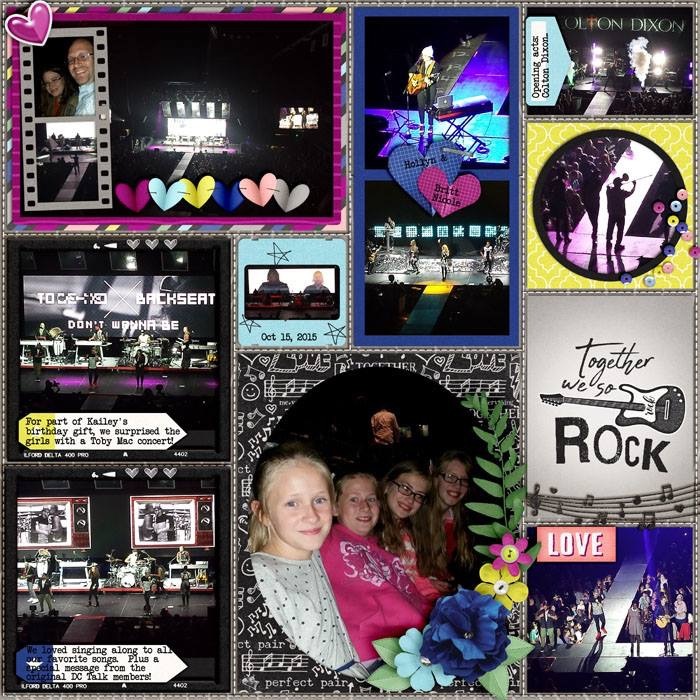 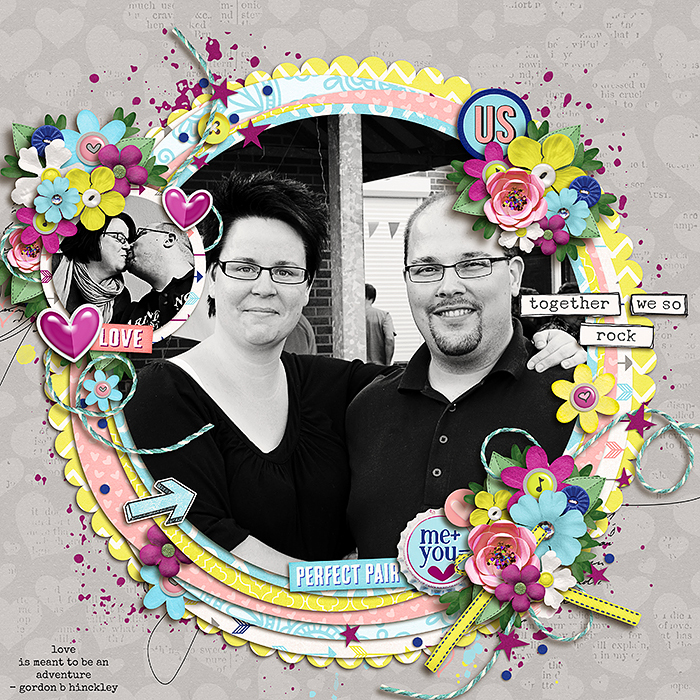 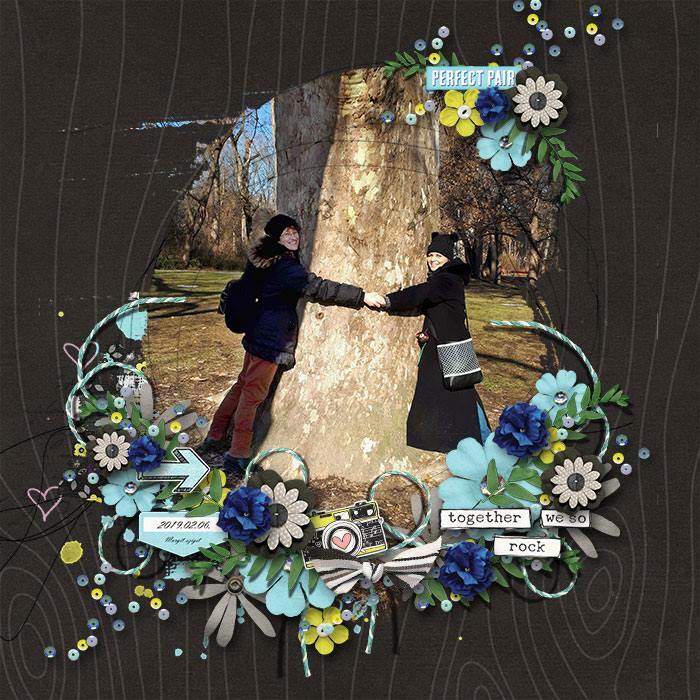 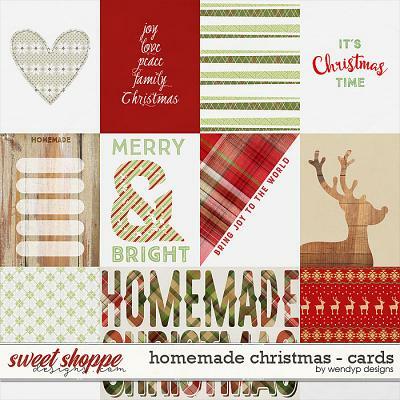 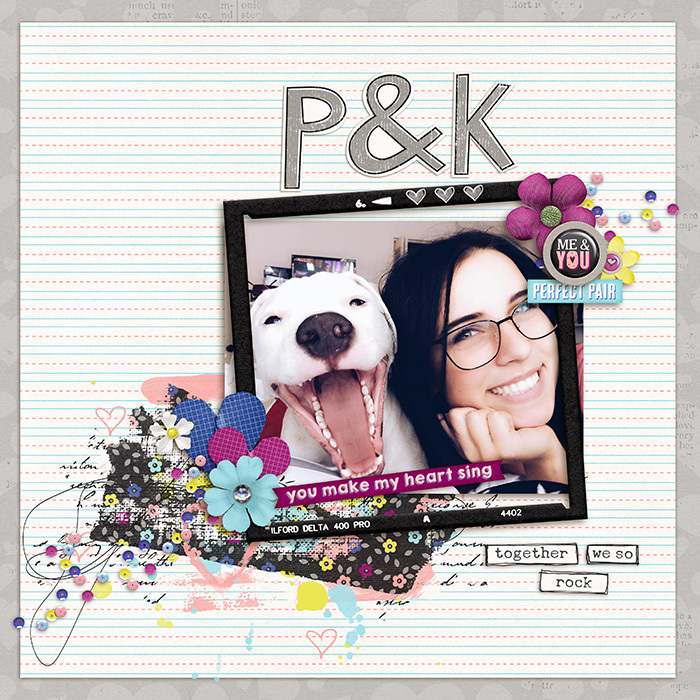 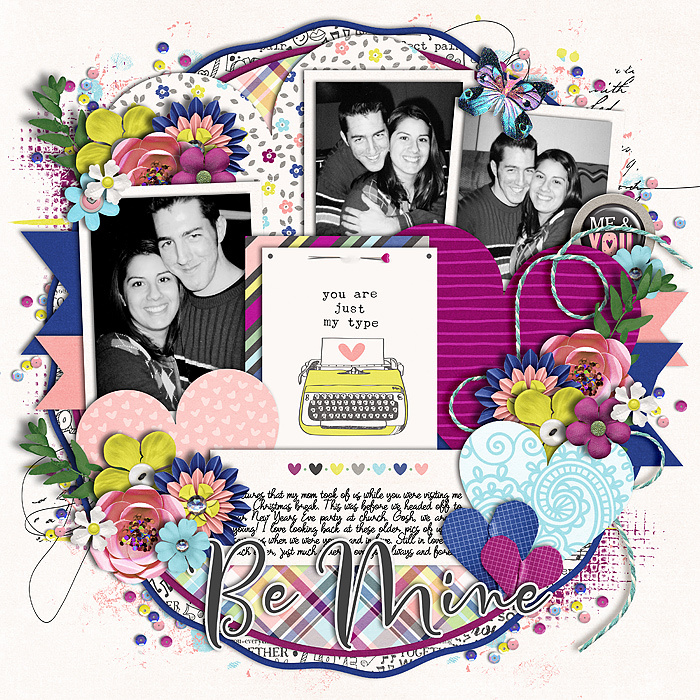 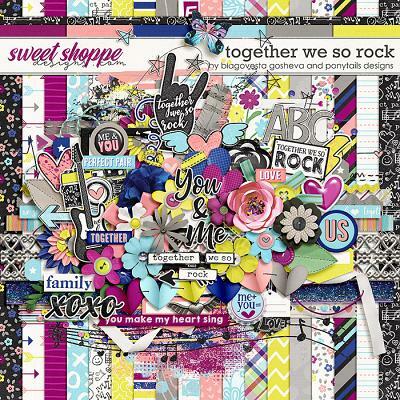 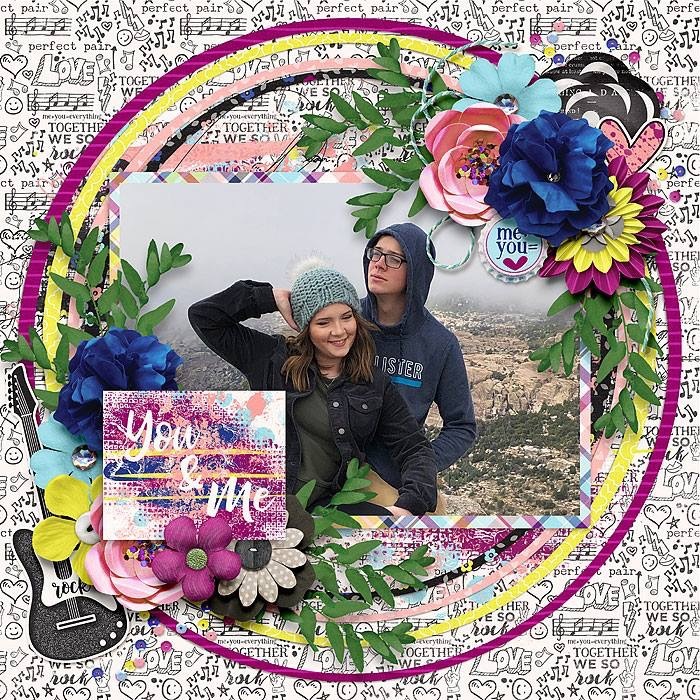 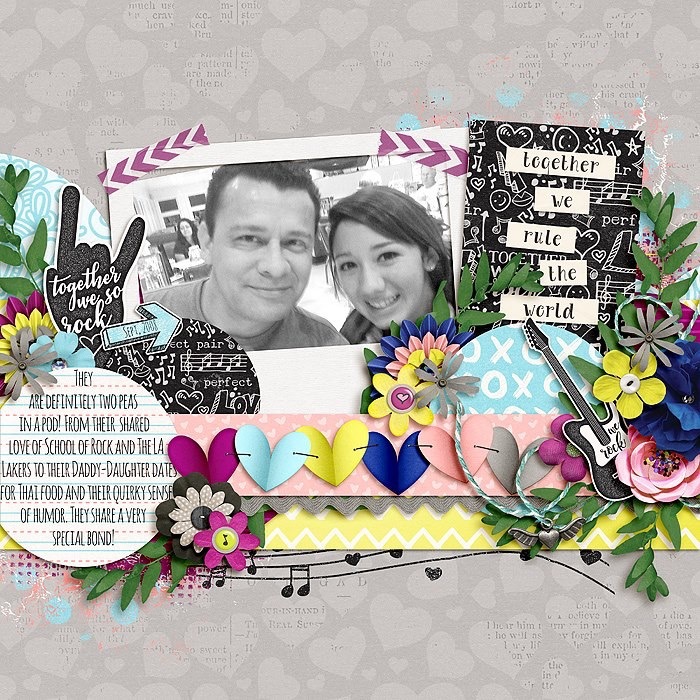 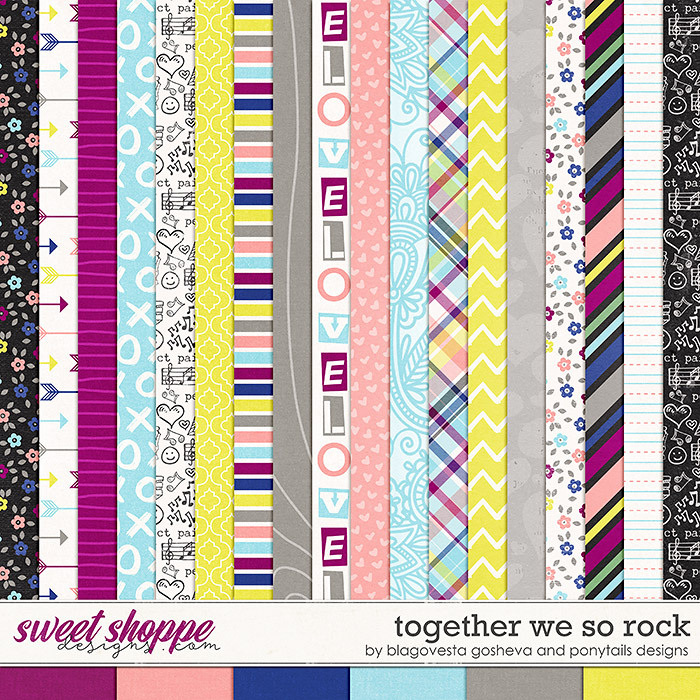 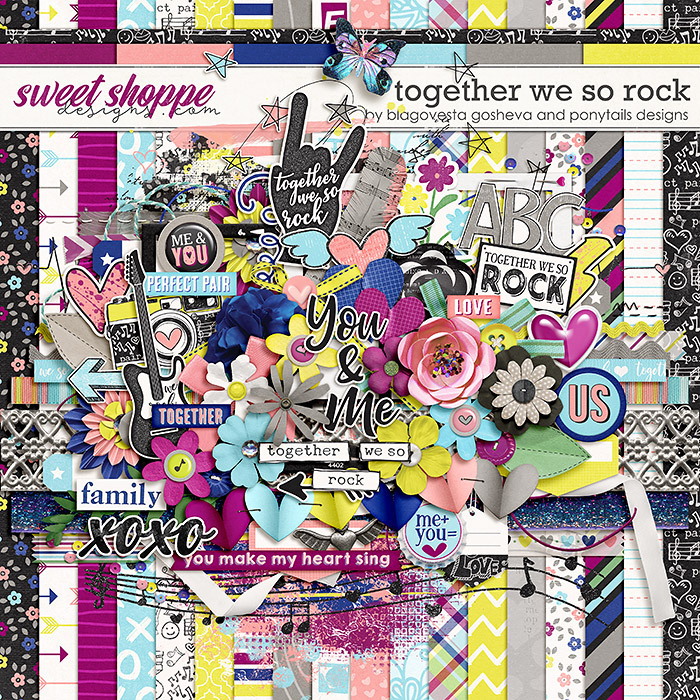 A digital scrapbooking collection by Blagovesta Gosheva and Ponytails Designs, "Together we so rock" is artsy collection in bold colors, full of unique elements and patterns, dedicated to all your loved ones. 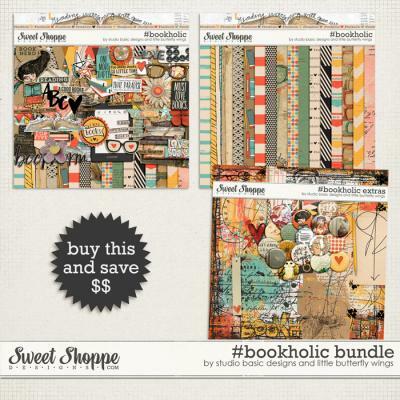 Includes a full kit, alpha and a pack of coordinating pocket cards. 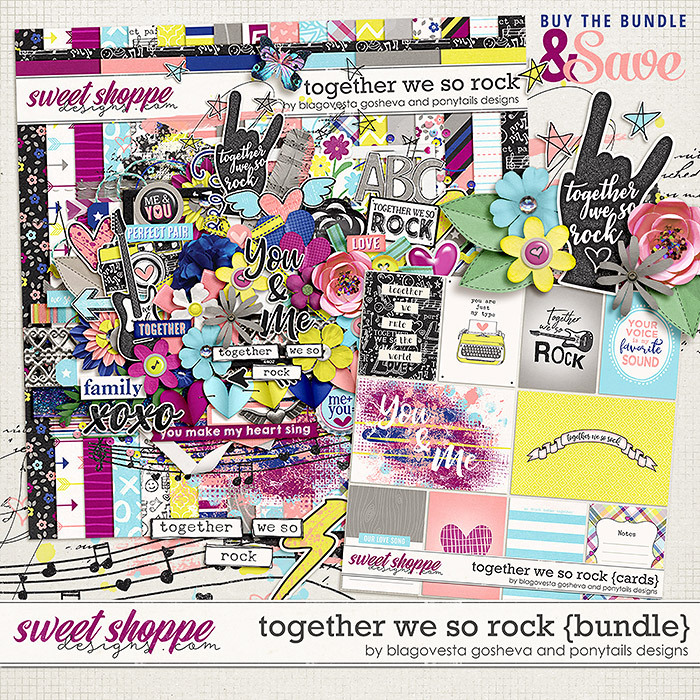 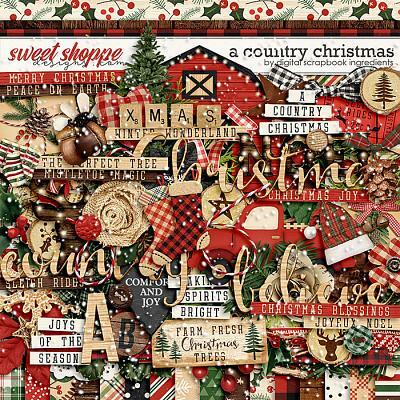 The kit contains: 27 digital papers (18 patterned & 9 coordinating solids), alpha (capital letters A-Z, numbers and some symbols and punctuation in individual PNG files each) and over 90 elements including a lot of love and rock themed unique elements, word art and wordbits, stickers, flowers and foliage, artsy brushes and overlays, hearts in different style, doodles, ribbons and buttons and much more.